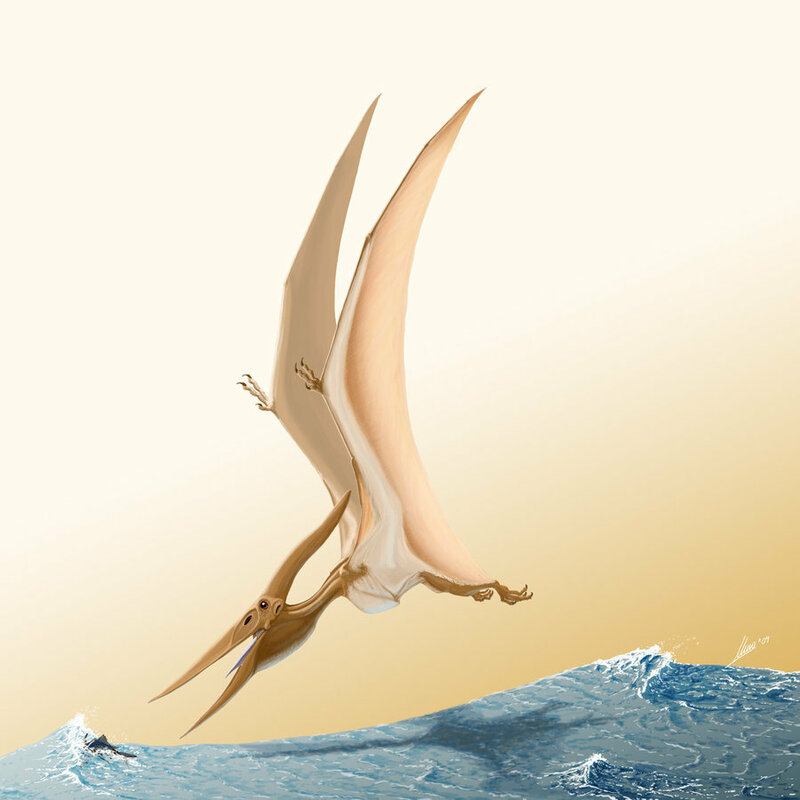 Pteranodon was a flying reptile which lived approximately 88 million to 75 million years ago during the Late Cretaceous Period. 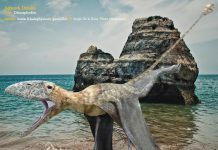 It was originally discovered by Othniel Charles Marsh in 1870 and was the first pterosaur to have been found outside of Europe. 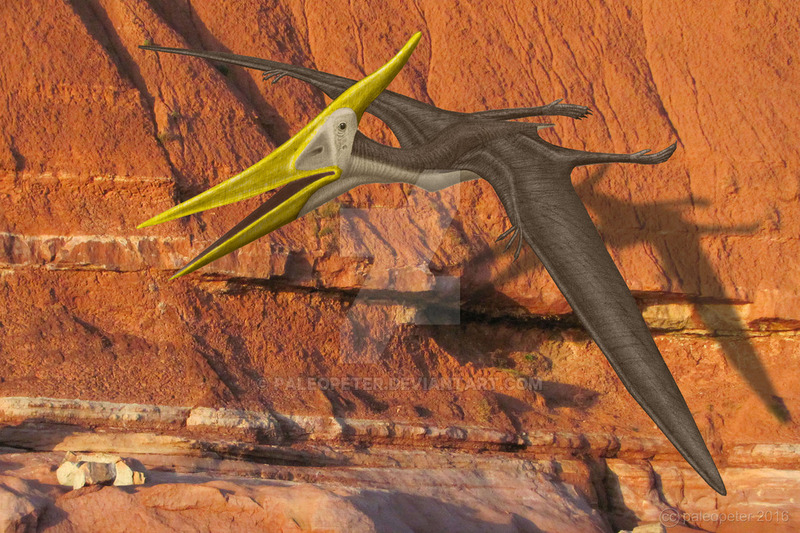 Marsh described and named it in 1876. 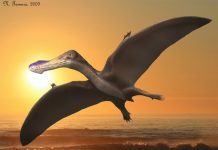 Its name means “toothless wing” in Greek. 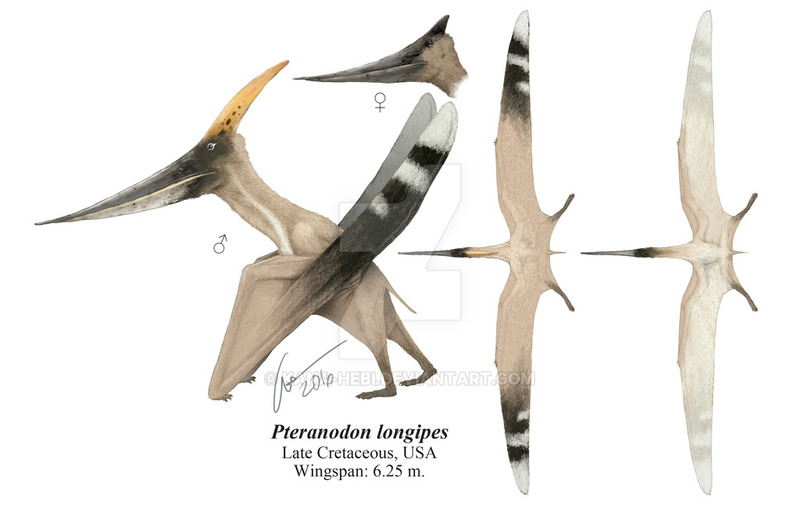 If you take a close look at Pteranodon pictures, then you’ll see this pterosaur was the stereotypical pterodactyl. 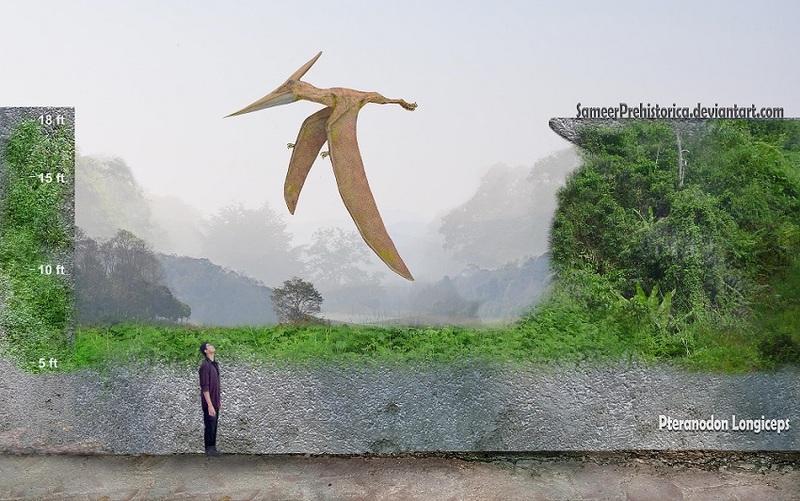 A creature that could share the limelight with other flying reptiles such as Pterodactylus and Quetzalcoatlus. 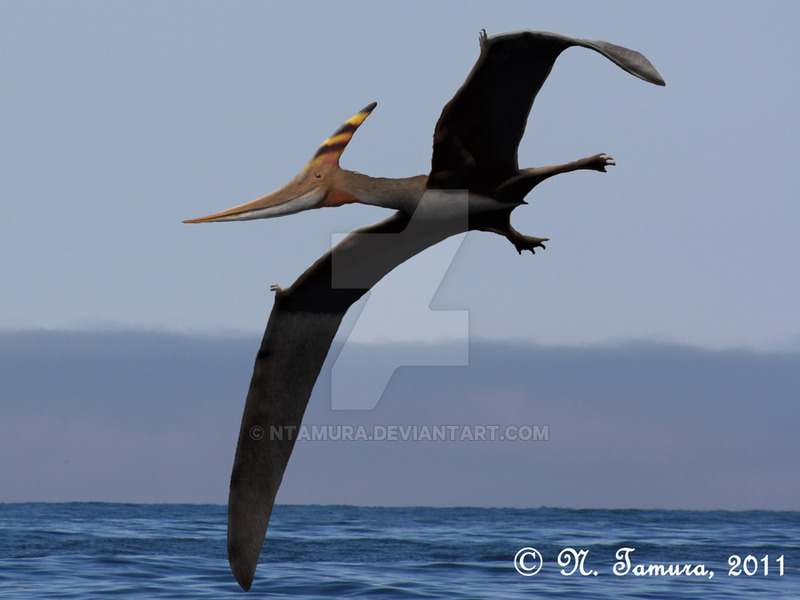 That’s because pterodactyls, despite common belief, weren’t one type of flying reptile. 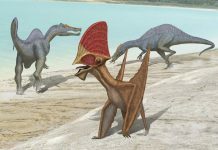 They were a genus of several different species. 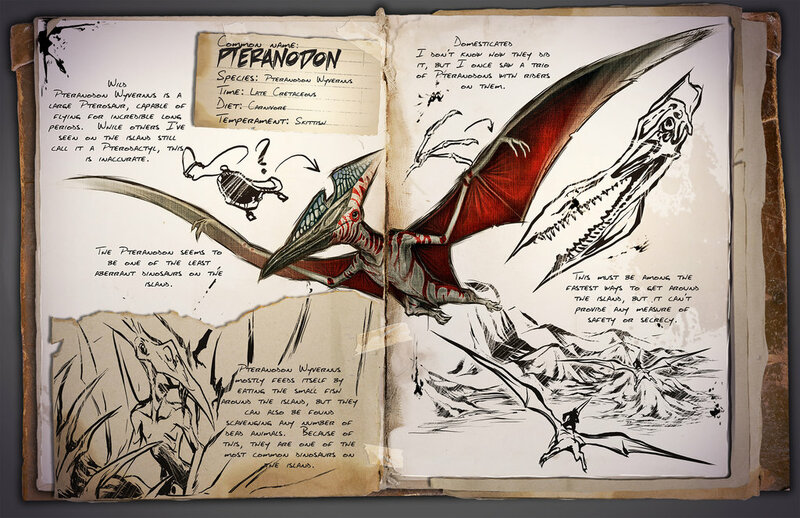 However, if there were one specific creature that people thought about when they thought about pterodactyls, then Pteranodon would be that creature. 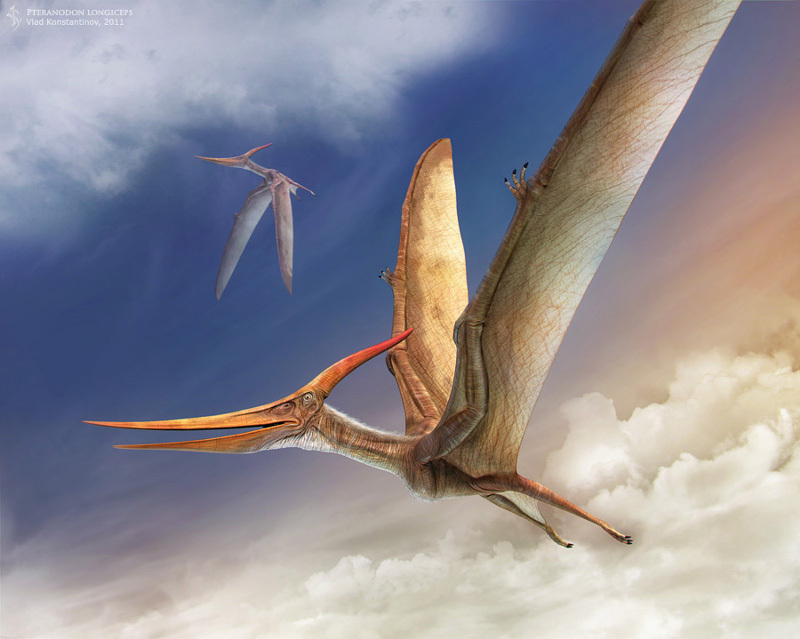 Pteranodon was approximately 6 feet tall, weighed around 50 pounds and had a wingspan of about 18 feet. 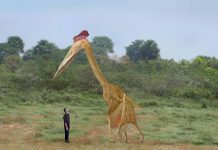 That means that it was about as tall as a human male, was 12 times heavier than a Red-tailed Hawk and had a wingspan that was 3 times larger than a Crowned Eagle. 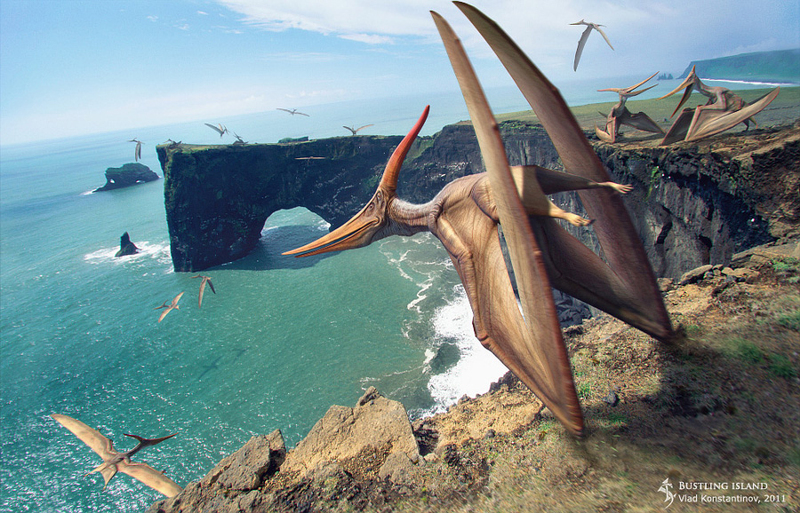 At this moment in time, paleontologists aren’t exactly sure whether Pteranodon flew under its own power or if it glided. 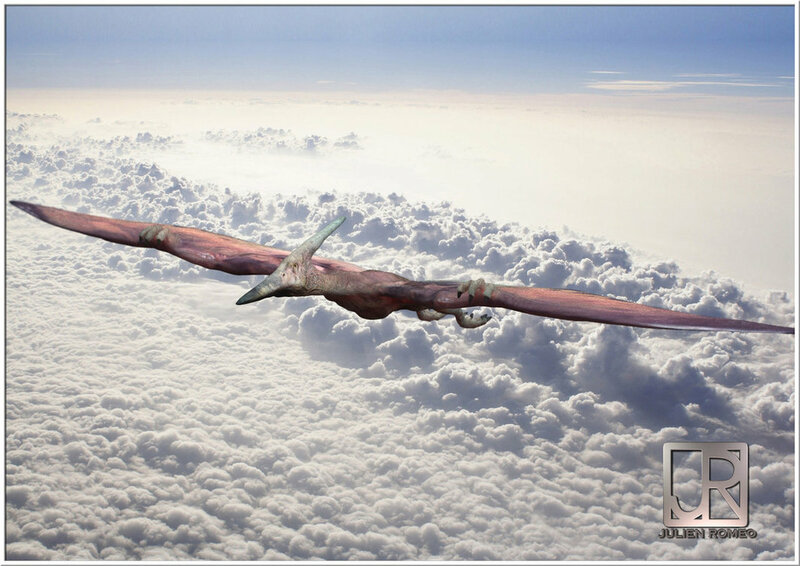 Most paleontologists seem to think that it glided and if that is the case, then it would have probably launched itself off of a cliff or similarly high object. 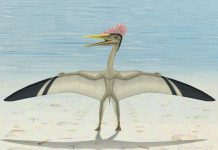 One of the most interesting facts about Pteranodon, however, is not its size or whether it flew. 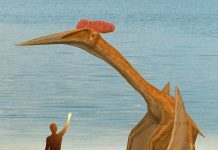 No, the most fascinating fact is that paleontologists think that the enormous crest on its head was used to stabilize it during flight. 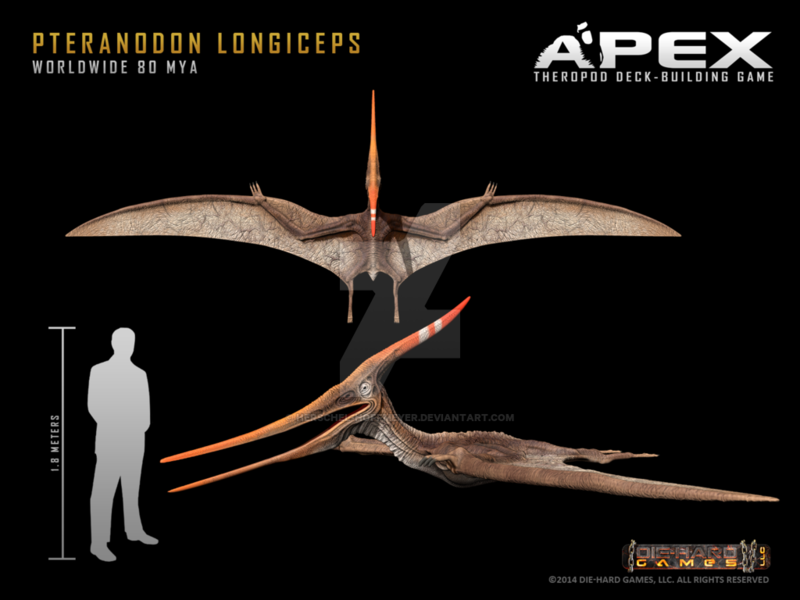 Of course, that hasn’t been proven as of yet.